IDSA Awards 2017 are open for nominations until June 16, 2017. 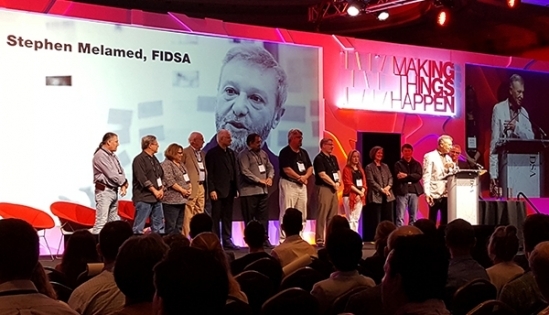 Pascal Malassigné, FIDSA, senior professor and chair of industrial design at the Milwaukee Institute of Art & Design, returns as chair of the IDSA Awards Committee. Also returning are committe members Austen Angell, FIDSA; Julie Heard, FIDSA; Bob Schwartz, FIDSA; and Craig Vogel, FIDSA. Questions? Contact Karen Foust at karenf@idsa.org. See past honorees: Academy of Fellows; Chair Award; Education Award; Young Educator Award; Personal Recognition Award; and Special Award.